Happy Friday, sweet friends! I trust you had an incredible week. 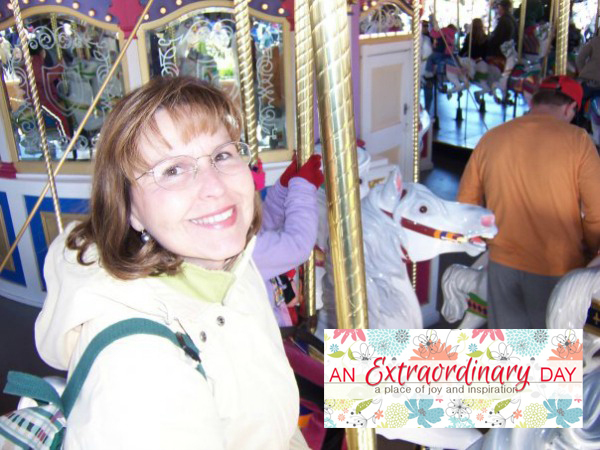 Today I'm excited to introduce you to Diane of An Extraordinary Day. When did you start blogging and what inspired the name of your blog? After much time trying to decide which platform was best, setting up the blog, and finally paying for help with the details large and small to made it pretty, I finally, with much fanfare at my house, launched An Extraordinary Day in April 2012. An Extraordinary Day is the kind of day I want to live and the kind of day I wish for you. I'm a believer in living life to the full. Learning Jesus came to give us "life with joy and abundance" was life-changing for me. Since then, I'm big on putting the extra on the ordinary. After all, "Why be ordinary when you can be extraordinary." ~Diane Miller I coined that phrase in 1992 and my friends know...it's how I live and I want that for you too! I like to think of An Extraordinary Day! as an inspiring magazine. I have lots of interests and the blog is a bit like me in that way. Each Sunday we start the day with JOY. I share an inspirational thought and invite readers to count seven blessings from their week. It's a favorite of many and no matter what...there will always be a Joy Day! post. Though I don't consider myself to be an artist or a crafter, I love creating. My goal is to help those who don't think they're 'crafty' to try their hand at some simple do-able DIY projects to make their home more lovely and personal. This year has been financially difficult for our family and so I have approached most of my DIY posts with the idea that you can take what you have on hand and create something extraordinary. You'll also find a few recipes on the blog because we all have to eat. [wink] Some of my favorite posts include nature photos, which I love to take, with the addition of a quote or verse. In season there are posts about gardening, too. I guess you might call An Extraordinary Day! a lifestyle magazine where readers are inspired with some of the things I love, and encourage to live with joy. Could you provide us with links to a couple of your most popular original projects? My foray into furniture painting began with painting my gifted vintage sideboard with Annie Sloan Chalk Paint. What has amazed me is this post is my number one traffic generator. It blows me away. Regardless. I love the sideboard now and have sooo much fun creating sweet vignettes for the top. In fact, this week I just created another which I'll be posting about soon. Last November another dear friend gifted me with a vintage window taken from her old house. I have had so much fun decorating this window and for some reason the spring version with cute bird banner was featured all over blogland and lately the tutorial for creating the banner seems to stay in the top posts box on my sidebar. My most pinned image is that of an old blue bench downtown with a scripture verse. It's actually a favorite of mine too. Do you find blogging therapeutic? If yes, how so? Blogging has become unexpectedly therapeutic to me. My husband and I have been living in limbo for eight months now. When everything else seems tenuous, I have the blog and my readers, and a reason to have fun creating something lovely...whether it's a quote on a photo, a table setting, or something to make my home sweeter. There is some sort of accountability in this relationship with my reader that helps me to choose well. To choose joy, and to choose to inspire. In the end, it's no longer about me. Yay! But, it would never have happened had I not written my 31 day series...31 Extraordinary Days. Posting daily was a good discipline and helped me and the blog grow, and became a springboard to what it now does for me each day. Hmmm...that's a good question. When I read the comments of women who say that the words they just read on the screen were just what they needed for the day....That makes my day. It's humbling to think that God would use my taps on the keyboard to touch another's heart. Truly. The best part of blogging is connecting with people. I love reading comments and responding and getting to know my readers. I wish I could meet my readers in person. Definitely it's people that make blogging a joy! A meet and greet requires a little chit-chat, right? 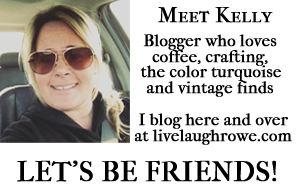 Let's share some love with Diane by leaving a comment on her Facebook page, blog or send off a quick hello in a tweet! Thanks so much for stopping by. Hugs all around!